The best biscuits we had all weekend. Buttery, hot, and just broke apart when picked up. Fried Green Tomatoes with goat cheese and red pepper coulis. Shrimp & Grits with poblanos, tasso ham, smoked tomato gravy. Heavier flavors than the one at JCT Kitchen, but I preferred the simpler and creamier style at JCT. 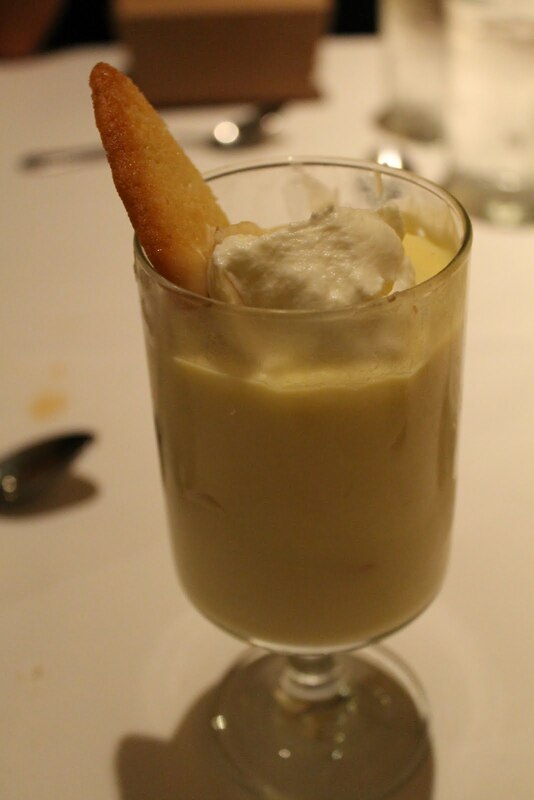 Banana Pudding. Delicious. Not enough pieces of bread in there but still so amazing. Green Eggs and Ham, $10: farm egg, cheddar polenta grits, seared pork belly, chimichurri. Such a great combination of foods. The pork belly was so tender and fatty, nicely complemented by the polenta. Buttermilk Fried Chicken with Mac 'n Cheese (substituted for garlic collards), bliss potatoes, honey-thyme jus, $17. Half portion of fried chicken with garlic collards, bliss potatoes, honey-thyme jus. (My sister and I split a full portion). The fried chicken wasn't as greasy as I'd hoped, but the skin was still very crispy and tasty.